New Vision Mosaic system allows the display of programs in the form of mosaic (directly at subscriber terminals). Using the remote, subscribers can choose the audio from any video channel. Multi-screen "Mosaic" guide looks the most attractive in comparison with formatted program output mode (as a text list); therefore, it enables more efficient management of programs (along with SI-EPG). 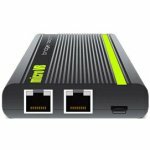 Support of 8 ASI input ports, hardware encoding/decoding, and real-time synchronization of video frames – without loss and pauses. Reassignment of all programs in two predefined distribution patterns (16 or 20 pictures). Support of disproportionate scaling (image distortion due to change in aspect ratio). When choosing the audio signal (one of the screens), video signal is chosen for viewing. Increased flexibility and reduced complexity of system installation. Real-time monitoring of inputs and outputs, analysis and editing of PSI/SI information. Support of 2 ASI outputs and 1 video output. Support of video viewing after synthesis, which enables the controlled broadcasting. 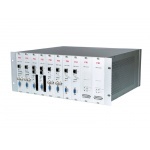 Output stream is stable, controllable, and compatible with ETR 290 standard. Verimatrix Company – leading designer of media content protection system – represents a decision ensuring the high degree of content protection and preservation. This is achieved via implementation of digital signature technology along with the latest developments and know-how in the filed of content protection. 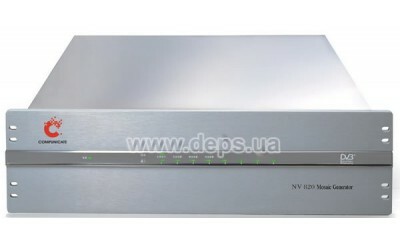 DMM-1000 is a head-end digital cable TV station. 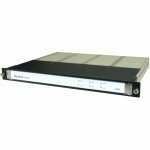 19" chassis comprise 8 modules – including the high-end IRD module (DMM-1300P), QAM/COFDM modulator (DMM-1300TM), MPEG2 encoder (DMM-1300EC), and re-multiplexer (DMM-1300MX), which ensure reception, decoding, decryption, re-multiplexing, and modulation of DVB signal. Flexibility and usability of DMM-1000 ensure high integration and stability of the entire system.